ageLOC Me is a first-of-its-kind anti-ageing skin care system combining customisation, skin care and innovation. 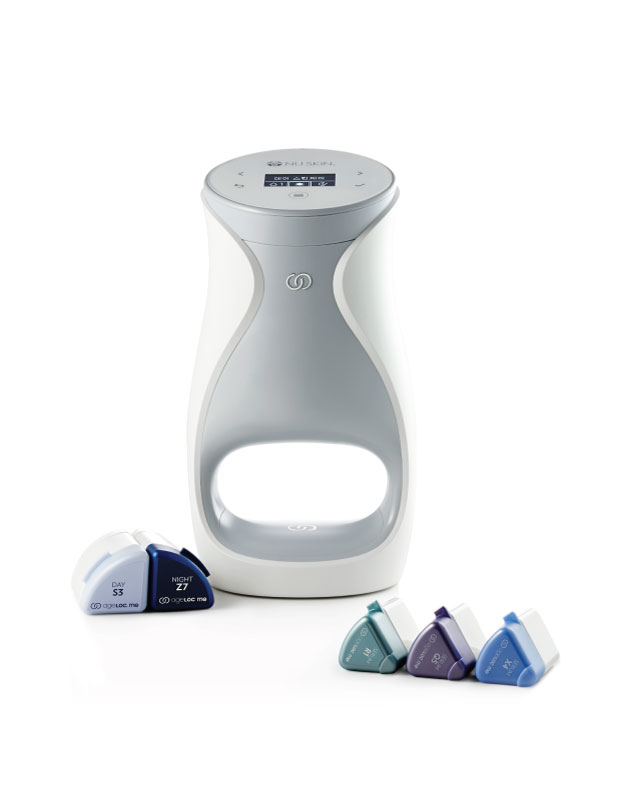 The ageLOC Me® Skin Care System contains 1 ageLOC Me device as well as 1 Free month supply of anti-ageing products called the Calibration Set. It contains the 3 serum cartridges, 1 Day and 1 Night moisturiser cartridge (5 in total). The Calibration Set cartridges are especially selected for the Pacific region. They will enable you to learn about your skin’s needs and your preferences. Prepare yourself for a truly transformational experience. Featuring a powerful lineup of four products, ageLOC® Transformation is our most advanced anti-ageing system ever, delivering unsurpassed anti-ageing benefits. This complete and comprehensive skin care system cleanses, purifies, renews, moisturises, and reveals younger looking skin in eight ways—for a more youthful, healthier looking you now and in the future.